It’s well known that Senator Gillibrand supports raising income taxes on individuals and small businesses, making over two hundred and fifty-thousand dollars, now she apparently wants to raise Social Security taxes on them too. 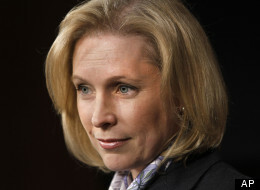 Gillibrand told the Poughkeepsie Journal Editorial Board that she would support raising or even eliminating the social security wage base (sswb) ensuring that middle income and small business owners especially those on Long Island, the Hudson Valley and the New York metro region will pay even higher taxes. Currently the Social Security wage base is set at $110,100. Gillibrand proposes to simply eliminate that cap entirely or eliminate it for those with incomes over two hundred fifty thousand dollars. Either way the impact on already burdened self employed, small businesses and middle – income taxpayers will be devastating.